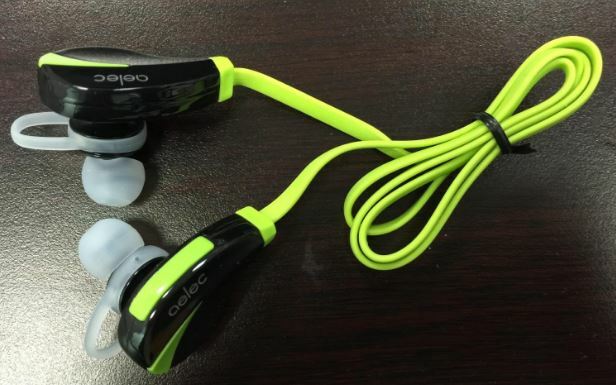 Finding a new pair of earbuds or workout headphones can be especially difficult. If you’ve ever scoured the market and seen “what’s hot”, you’ll know that there are literally hundreds of different headsets to choose from. You can easily spend upwards of $100, but is it entirely necessary to fork over this kind of cash for a decent pair? Not really. Sure, you could opt to buy the latest Beats or Sony brand name wireless earbuds. But if you’re wanting to save a few bucks, there are still plenty of budget-friendly options. 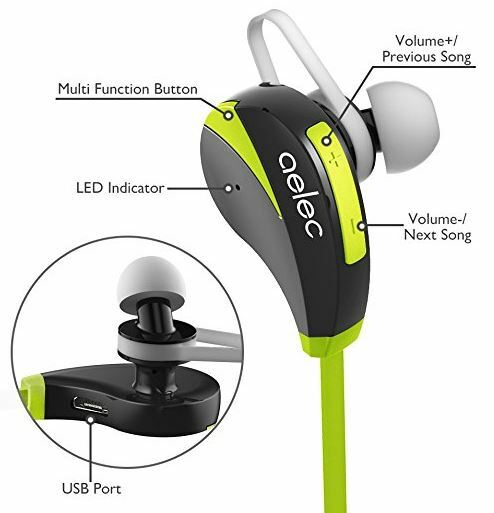 One of the latest and most affordable sets of earbuds to be released are the Aelec S350’s. Yes they’re made in China and come in at a surprisingly inexpensive price point, but are they even worth considering? They’re one of the most popular headsets on Amazon so we felt enticed to give them a shot. Today we’re going to take a closer look at them. We’ll go in-depth to investigate their features, sound quality, comfort, overall performance and more. 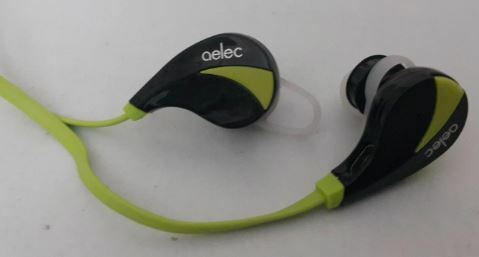 Upon their arrival, we opened the Aelec S350 Bluetooth Headphones and were pleased to find how compact and portable they appeared. They came neatly coiled up and packed with a multitude of accessories, all within a small protected, zippered carrying case. 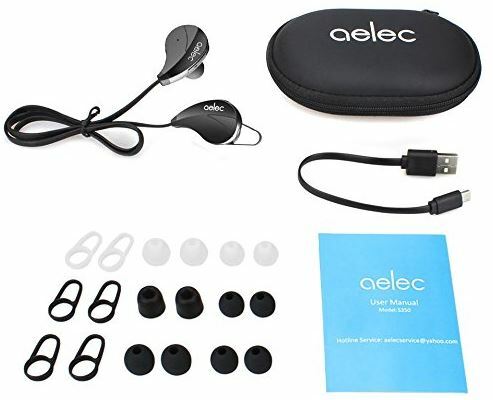 Aelec gives you three different sets of ear hooks, ear tips, a micro USB charging cable, and user manual. Weighing in at just under a half ounce, they’re incredibly lightweight and minimalist in design. 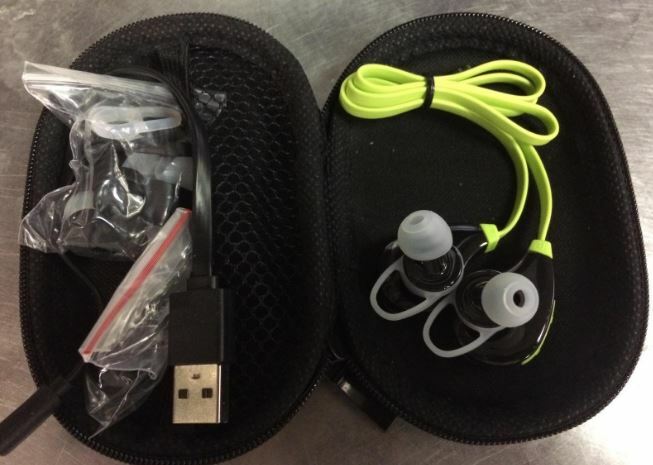 Each earbud is connected together with a small, flat cable, making “one unit” out of the two buds. All of the functionality is located conveniently on the right earbud. You’ll notice that there are controls to adjust the volume, change the song, and even a multi-function button and LED indicator. There’s also a microphone built into the left earbud for making and accepting phone calls without taking them off. Feeling the earbuds for the first time, you’ll notice that they’re not the smallest, but not the biggest. They’re a little bit bulky though, but we didn’t find that to be much of an issue. They’re comprised mostly of plastic with a rubber “hook” that’s to be placed within your ear canal. The tip is to be placed directly inside your ear, with the hook applying a tiny bit of leveraged pressure to the rigid shape of your inner-ear. As long as you have the correct ear tip and hook on, you should get no wiggle or any “loose” feeling. If you do, simply swap out the tip or hook to an appropriate sized one that provides a much more snug fit. It’s easy to do and fairly self-explanatory. The good thing is, once you achieve a cozy, proper fit, you’ll likely never need to adjust them again. 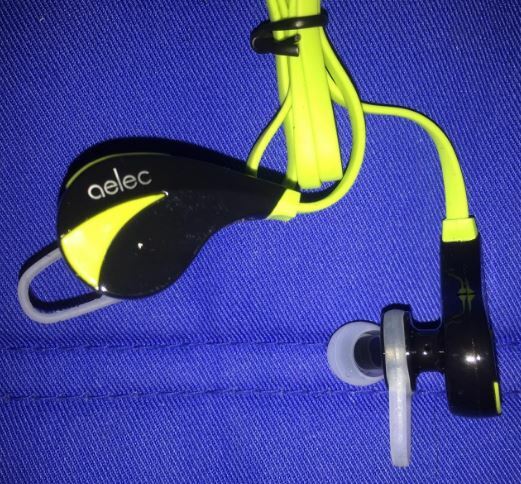 The nicest thing about the Aelec S350’s is their ability to be paired with virtually any device. That is, as long as that device supports Bluetooth connectivity. If you weren’t certain, pretty much all modern smartphones, tablets and even laptops support Bluetooth. Simply go to the device’s settings and make sure that Bluetooth is activated. Once you’ve done this, turn on the headphones by pressing and holding the multi-function button for three seconds. The LED indicator will begin to flash a blue and red signal. This means that they’re scanning for a device to pair with. Next, go back to your smartphone or device and assure that it’s actively scanning for the headphones. After a few seconds, you should see “Aelec” appear on the list. Simply select it and you should hear a voice prompt say, “Connected”. The pairing process is quite easy and straightforward. Once you do it once, you won’t have to manually go through these steps again. Simply power on the headset and make sure it’s not too far from your paired device. One cool feature that stands out with the Aelec S350’s is their ability to be paired simultaneously with two devices. This means that you can listen to audio tracks on your tablet, but still make and receive calls with your smartphone – at the same time. This feature means that you won’t have to manually pause the music, take out the earbuds and accept/reject a call. 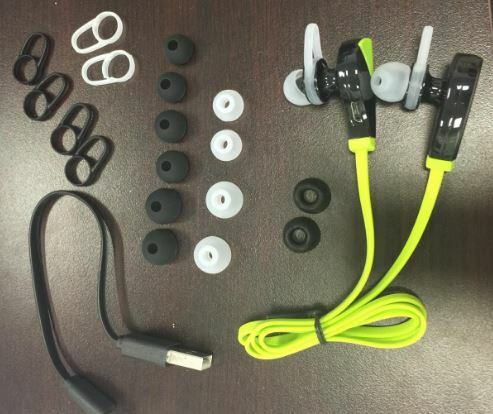 All of this functionality can be performed using the buttons located on the right earbud. Describing sound quality can be a difficult thing to do since sound is usually perceived differently among different people. Some individuals are more sensitive than others and can pick up on the fine nuances that can determine if a set of earbuds are “bad” or “awesome”. But from our experience, we can surely tell when a pair of headphones are lacking or seriously underwhelming. Needless to say, the Aelec S350’s are somewhere right in the middle. We were very pleased with the sound quality. They seemed to perform equally well with all kinds or genres of music, but most notably excelled with tracks that were rich in detail. They provide a nice balance of clear tones that make hearing the lyrics easy, while never getting too out of control with the bass. 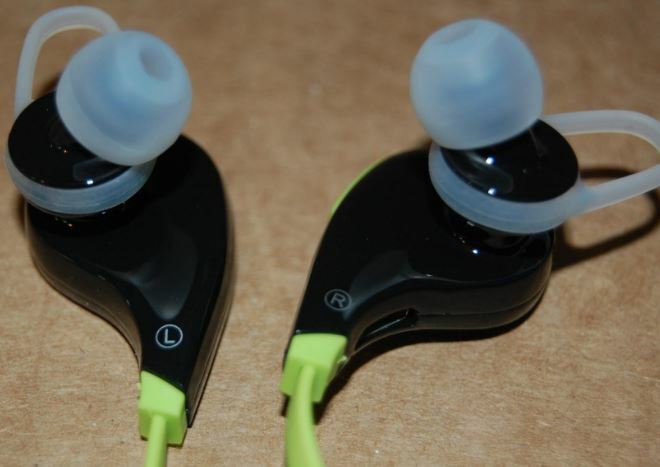 With small earbuds, we’ve noticed that some manufacturers like to try and cram too much bass into the design. Ultimately, this leads to unwanted distortion and an overall poor listening experience. This isn’t the case with the S350’s. The bass isn’t all that impressive, but it’s sort of to be expected. Don’t get us wrong, it’s suitable and does the job, but a bit lackluster. In our and many others’ opinion, bass isn’t as important while you’re working out than say, on a pair of studio (over-ear) headphones. Truth be told, if you want phenomenal bass, you’re probably going to have to spend a lot more. The best part of it is, the bass isn’t overkill – Aelec didn’t “try too hard” and they’ve created a decent balance between treble and bass. Although most people commonly use headphones for listening to music, many pairs have an integrated microphone that make phone calls completely hands-free. As we explained earlier, there’s a small pinhole sized microphone located on the left earbud. It’s specifically there for making phone calls, so we decided to test it out. When you receive an incoming phone call, the audio track will automatically be paused. You can then hit the multi-function button to accept it, or simply ignore it to reject it. Connecting to a phone call seemed instantaneous – there wasn’t any lag or latency issues. The calls themselves seemed to be high quality without any feedback or unwanted distortion. We tested them out several times and continuously had great experiences with the microphone feature. As with any set of wireless headphones, the internal battery can be a game changer. We found the battery life to be quite acceptable with approximately 5-6 hours or usage per full charge. Over the course of a week, we had to charge them up twice, but we put them to use every day for about an hour or two at a time. The nice thing is that they tell you right when the battery is in need of a charge. However, it can get quite annoying since about every minute the voice prompt will tell you, “battery low”. This is just a little qualm of ours, but nothing too serious in the grand scheme of things. Once you find that the battery is in need of a charge, simply plug in the included micro USB cable and within an hour or less, they’ll be ready to go for next time. 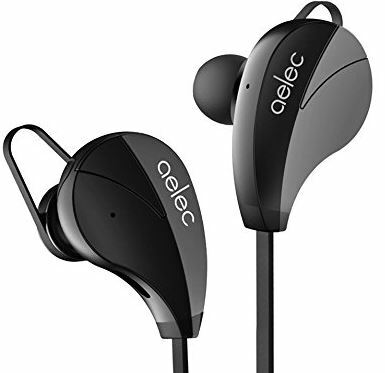 Being that the Aelec S350 Bluetooth Earbuds are “budget” headphones and not “name brand”, we didn’t have incredibly high expectations for them. However, putting them to use and thoroughly testing them out for several days had surprisingly impressed us. They provide excellent sound quality, but are slightly lacking in the bass department. This is as to be expected though, you can’t assume a “budget” pair of earbuds are going to provide the best bass in the world. If you’re an audiophile or need something that sounds a bit more impressive, you may want to take a look at the Beats by Dre Powerbeats3 or the Jaybird X3’s. Although they may seem a bit bulky at first, the fit is excellent when you place the correct tips and hooks on them. We went jogging, to the gym, hiking, played Basketball and simply just traveled on the bus with them. Just make sure that you achieve a proper fit upon wearing them around. If you have the wrong ear tip or ear hooks installed, you’ll find that they may wiggle out over time. As long as you achieve a decent fit, they should securely stay in place. Overall, we wouldn’t hesitate to recommend the Aelec S350’s to anyone who wants to experience wire-free audio without the hefty price tag that normally comes with it. They’re designed for those on a budget, but provide a great listening experience for all. does anyone know once you’ve paired two devices to these headphones how you clear out those pairings to pair to a new device? If I just try and pair to a 3rd device does it just overwrite the first one (since it doesn’t do three devices) or is there a way to reset it and clear out any/all pairings? Wheat are the little strap things for? I jsut got mine today from Amazon and so far they are great on a few phone calls I have made with them. I got these on sale 6 months ago and still love them! I’ve been using these for over a year and generally I’m pretty happy with them. Recently I’ve had an issue though and after going to Verizon several times I finally narrowed the problem down to the earphones. The situation is this. I have two sets of these because I use them pretty much all day..from audio books, videos, and whatever to phone calls. It’s very easy to switch sets when the battery gives out. The problem that has started is that when I get a call and the bluetooth is enabled, the earphones AUTOMATICALLY answer the call! For a thousand reasons this is bad. I often let them hang on my neck when having conversations and don’t realize that I even got a call because the earphones have already picked them up…which means whoever is on the other line is fully listening in on my conversation with whoever is actually standing in front of me. And because the sound quality is good, it’s not even muffled. Ugh. How can I turn off this handy “feature?” I read the specs on it and it says if you don’t want to accept a call just ignore it. Well, that’s not working. Help!! !